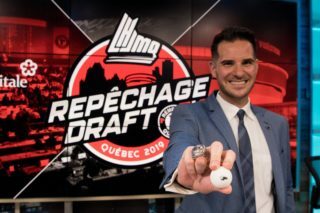 Drafted by the Drummondville Voltigeurs in 2011, defenceman Dominic Talbot-Tassi played in more than 240 QMJHL games. Between 2012 and 2015, he suited up for the Voltigeurs, the Sherbrooke Phoenix, the Blainville-Boisbriand Armada and the Moncton Wildcats. During his time in the junior ranks, Talbot-Tassi was a two-time finalist for the Marcel-Robert Trophy and was granted some scholarships, proof that he was fully able to conciliate sport and studies, something that is a tough task for most student-athletes. Today, on top of playing hockey for the McGill University Redmen, he’s also studying to get a Mining Engineering diploma. 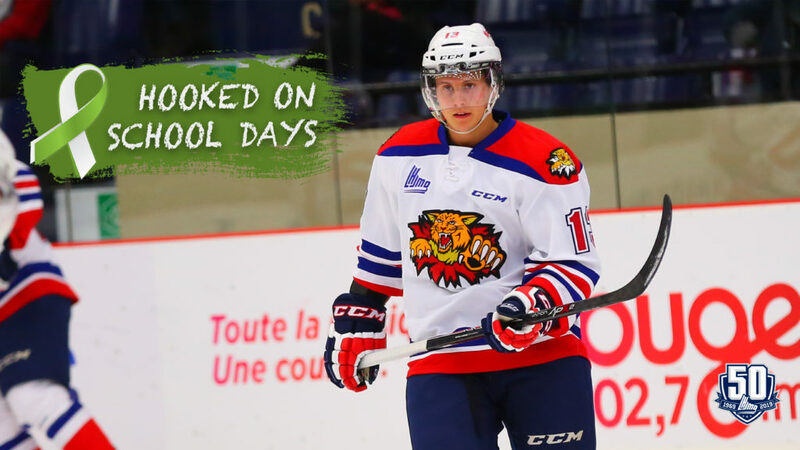 The QMJHL’s spokesman for the 2019 Hooked on School Days, Talbot-Tassi has accepted to share with us his experience as a student-athlete. Q: When you started playing in the QMJHL, at what school level were you? A: I was in my second year of Cégep. I was 18 years old. I had started Cégep when I was still playing Midget AAA, at 17 years old. Q: When you ended your junior career, at what school level were you? A: When I started at McGill, after my QMJHL career, I had already done one year of university. Q: How does a young man, in an elite environment that requires so many sacrifices and so much concentration, balance his hockey life with his school life? A: I think the key is in managing your time. I often say that there are 24 hours in a day. You need about seven or eight hours of sleep, so there’s plenty of time left to study, work out and focus on hockey. When I was back in junior, depending on the team I played on, if we practiced in the morning, I’d show up focused on hockey. Once hockey was done, my focus would shift on school. I’d go to class and then I had plenty of time left to study, relax or socialize with my friends. Q: How did you balance your school schedule with your sport schedule? A: I think the important thing for a young athlete is to plan his schedule as best as he can. If you’re preparing for a road trip and you know that you are going to miss class and miss some time, you need to plan ahead by speaking with your teachers. They are there to help. You can’t wait until the last minute because that’s when you start to stress because time is running out. I think the keys to my success were that I was always planning ahead and studying whenever I had the chance. I didn’t waste any time. As a matter of fact, I even took summer courses to fast-track my educational path. Q: How did you adapt your school schedule following a trade? A: I was a part of some very good franchises. They always helped me adapt to my new schools. 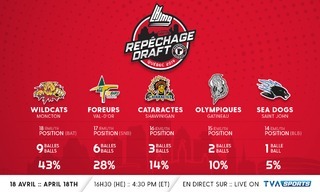 On top of that, the QMJHL trading period happens between Cégep semesters, so it’s not that bad. The teams are the ones who handle the transfers between schools. The only things I had to worry about were choosing my classes, showing up for them and focusing. Q: What are some of the challenges that you faced as a student-athlete? A: As a 17-year-old, I didn’t make it onto the Voltigeurs’ roster. I then went back to Midget AAA and I realized that it wasn’t always going to be easy. I never had an easy path, but I never gave up. Those challenges helped build my character and I think that’s helped with my success both in hockey and in school. That year allowed me to gain some maturity and get ready for the QMJHL. 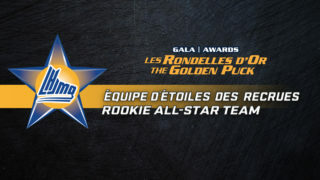 I continued to work hard and the next year I was selected by the Sherbrooke Phoenix. From that point on, I was never cut by my teams again. I also think that it’s a challenge to remember that having a backup plan is very important. Often, you’ll look at what other guys on the team are doing and it’s easy to get influenced by them. If you see someone who isn’t doing anything, you can be tempted to do the same and that’s when procrastination kicks in. You need to be serious. When you’re young and you’re enjoying a bit of success in hockey, it’s easy to think that school isn’t that important because the NHL is just around the corner. But even if you were to play in the NHL, it’s always good to have a diploma. It’s possible to do both, there are no excuses whatsoever. I think that by staying in school, it helps keep you on track. You can keep learning, and that’s never lost! Q: What resources were made available to you to help with school? A: Every team has an academic advisor. In the teams for which I played for, they were really implicated. Every day the academic advisor was in the arena and was coming to see the players. It really helped having a resource such as them. When we’d see him, we were reminded to do our homework and to study up. The academic advisor was also a confidant because we could talk to him about our problems at school. 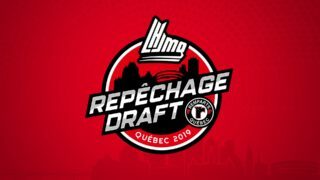 Q: During your last QMJHL season, how did you envision your future? A: I think that when you get to 20 years old, you start thinking about what you’ll do after junior hockey without really knowing what’s in store for you. For me, I was not only thinking about my academic future, but also about my future in hockey. I didn’t want to close any doors so that I could have a chance at playing professionally, all while getting my degree. That’s why I chose McGill University. I thought it was the best compromise for both hockey and school. Q: What motivated you to attend university? A: I never really needed any motivation to go to school. I always found that going to school was both useful and important. It helps keep you active and smart. I also knew that I was necessarily going to play in the NHL. For me, it was an easy choice because I got to pursue my dream by playing for the McGill Redmen, all while studying. If pro hockey doesn’t work out for me, I’ll always have a chance at working in another professional domain. 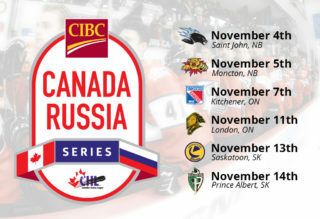 Q: How do you conciliate university hockey with your studies? A: You need to know how to manage your time because our days are quite filled. School, practices, nutrition and living on your own are all things you need to manage. However, as years go by, balancing hockey and school becomes easier because you acquire some experience. My time in junior hockey helped me manage both. The simple fact that my teammates want to perform, both in our sport and academically, is a big help. 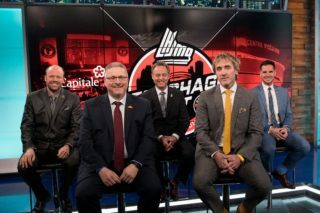 Q: What advice would you give to players who are about to end their QMJHL careers and who are hesitating to pursue their studies after junior hockey? A: For me, it’s a given that you should never turn your back on school. I see a big difference between players who set aside their classes for a certain time and the ones who didn’t. School gives you a work ethic that can be applied in sports. School keeps you on track, organized and most of all, it gets you ready for the real world!